This durable float does not require inflation and allows you to sit upright as you drift around the pool. 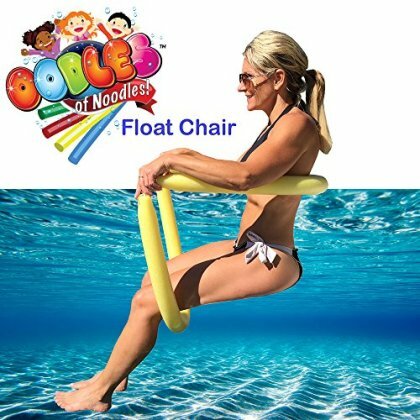 No mesh needed, the noodles are connected, one supports your back and the other under your legs. Work great and easy to stow away.